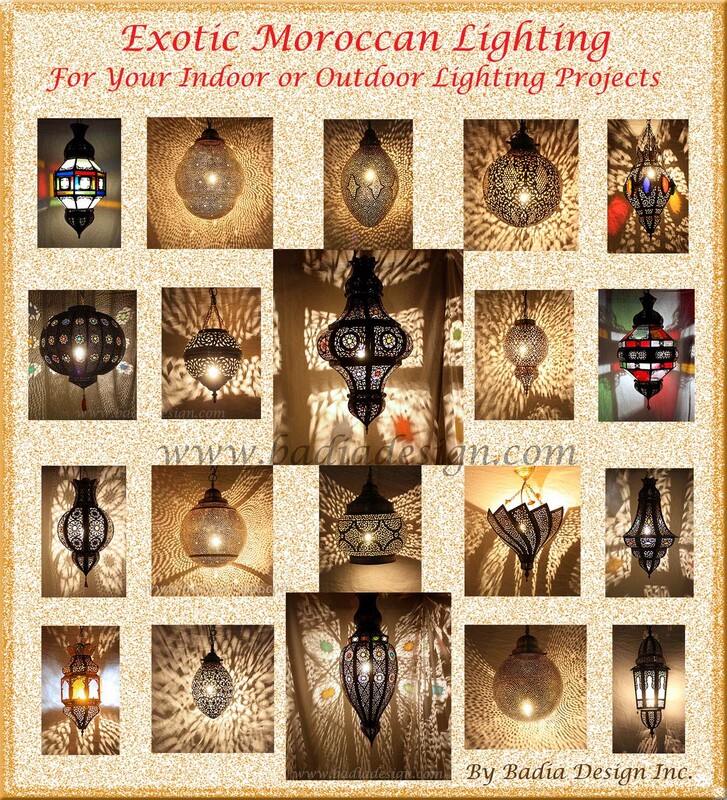 Our beautiful and Exotic Moroccan Lighting – designed to add color and mystery to any space in your home or office. They are made of hand stretched leather over a steel frame. Our Moroccan Henna Floor Lamps make for an unforgettable gift. We have several sizes and colors to choose from. 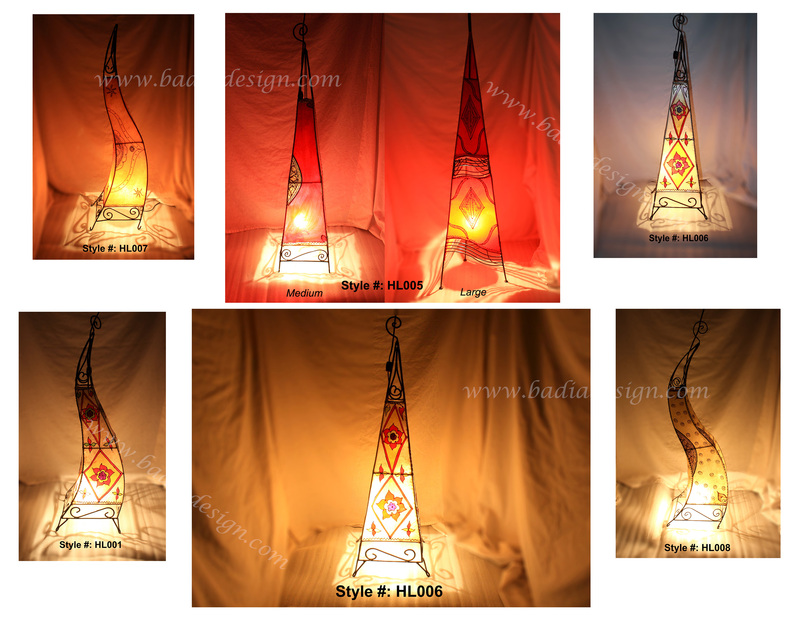 Check out http://www.badiadesign.com for detailed information on our Exotic Moroccan Lighting. To make your home look sophisticated and stylish, consider getting different types of Moroccan lanterns and lamps. You will also be able to get the ambiance you like. These lighting items will also add a uniquely foreign touch to your home while offering warmth and comfort. Badia Design Lamps and Lanterns cast a magical and exotic effect during the night and exude elegance and beauty during the day! Note: All images are copyright to Badia Design on this article. Any use of materials from this article without express concent from Badia Design is strictly prohibited.